When a pitcher is seven innings into a no-hitter, you don’t talk about it. Everyone knows what’s happening; his teammates, his coaches, and foremost: his catcher. Suggesting he’s on the verge of something rare and great is enough to send the psychological construct of the whole thing tumbling down. You leave well enough alone, keep your thoughts to yourself and give him the time and space he needs. When Autumn is having an exceptionally well-tempered day, we don’t talk about it. “Don’t tempt the beast,” is our mantra. 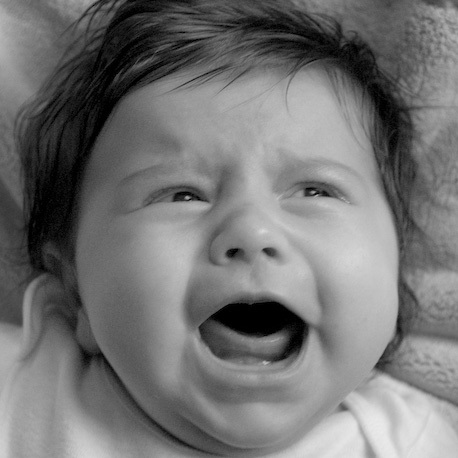 A two-month old girl, given the right conditions, can be a source of profound joy or intolerable cruelty. We’ve experienced more of the former, thankfully, but memories of the latter keep us vigilant. We sing and swaddle, bathe and bounce. We surround her in every way with a world of joy and peace. And when we’re on a roll, and smiles abound, and the ringing in our ears has faded, we drink it in and keep the beast at bay. A little treat from Autumn’s first adventure across the Golden Gate. For the full HD experience, please schedule a screening at the 100 Lake Cinema. We had a lot of fun with this one; shooting, editing, tweaking YouTube. For any photo geeks in the audience: I have a detail photo of the camera rig on Flickr—annotated, of course. If you dig it, leave a comment below. 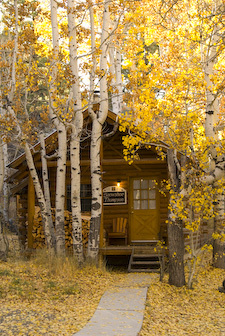 The air was crisp and the aspens ablaze in color as Autumn arrived in the Sierra last weekend. We took a three-day trip to the Hope Valley to introduce our little girl to this Range of Light. We followed our well-worn path toward Carson Pass, hoping that Autumn wouldn’t mind the four-hour drive. We arrived at Sorensen’s in one piece, and settled into our little log cabin for the weekend. We missed the apex of fall color by a week or two, but the stands of Aspens were still shining bright. Autumn was captivated by the new colors and the ever-changing view. Our agenda was lean, and we spent most of the weekend relaxing in the cabin, taking walks and exploring a few nearby corners of the Hope Valley. We also grabbed our 2008/2009 season passes from Kirkwood, an optimistic move that should prove interesting once the snow starts to fall. It was our first trip to the Sierra since June; an unprecedented dry spell for the two of us. It felt good to smell the pines, breathe the thin air, and hunt for a tin of Carmex to soothe our chapped lips. Winter is right around the corner. The next time Autumn sees these mountains they’ll be covered in snow—a new world for her to explore. We look forward to many happy returns. You can find more photos on Flickr. Rhythm. It feels like we’ve found some semblance of rhythm. Autumn is the maestro, and we’re expecting a change in time signature at any moment; a little syncopation, maybe something up-tempo. But for now, we’re playing along—one note at a time. 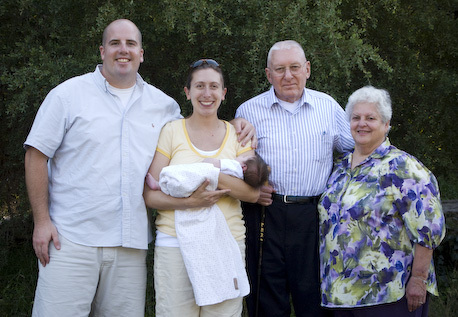 Today Autumn met her great grandparents. The Clovers (Jody’s maternal grandparents) made the trip down from Sebastopol to confirm their line is healthy and intact. We pulled together a picnic and found a shady spot in Golden Gate Park. It was a beautiful day, with bluebird skies and plenty of warm, autumn sunlight. Today is also Autumn’s three week birthday, which means we’ll be celebrating with cupcakes…again. Because we’re not in the habit of looking for fewer reasons to eat cake. We have a big weekend ahead of us. Grandpa Bill is coming down from Portland, and Autumn will also meet her great grandma Natalie (Jody’s paternal grandma). 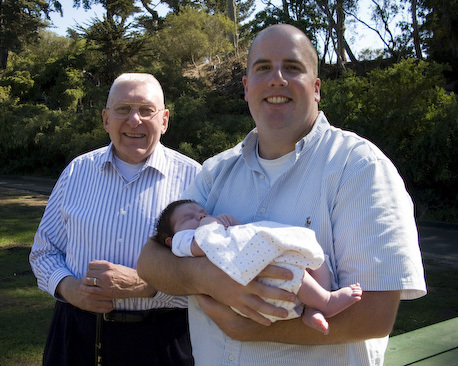 She’s a lucky girl to have three great grandparents to enjoy. Let’s hope the weather holds. La Petite Baleen – This is a very cool children’s swimming school. If all goes well, Autumn will be attending in a few months, preparing herself for an active swim season at 106 San Carlos. Planet Granite – A brand new 20,000 square foot climbing gym. Many moons ago, I worked at a climbing gym, and it is incredible how far things have come. Autumn will have to wait a few more years for this one. We wrapped up our walk before the Blue Angels began their practice, although she didn’t seem to mind their low-altitude passes from home. Jody’s feeling better every day, and I think these outings will start to become a regular (if not daily) activity. After a week cooped up inside, we decided it was time for an outing yesterday. 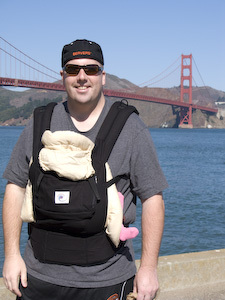 What better place to begin Autumn’s life outside than Golden Gate Park. 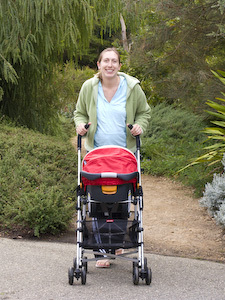 We took a short stroll through the Botanical Garden and tested the off-road abilities of the new stroller (not good). She was clearly unimpressed, as she slept through the entire adventure. I think Jody appreciated the fresh air, if not the walk to the nearest bench. Not to give myself too much credit, but I fearlessly staved off a band of curious squirrels, letting them know in no uncertain terms that my size 14s aren’t just for dancing. We’ll have to see where the next week takes us. Or is it day four? I’ve lost track. After two days in the hospital we arrived home Saturday afternoon, and it feels so good to be home. Jody will probably explain in more detail, but our team at Kaiser was incredible. They were totally supportive of our birth plan; encouraging and pleasant every step of they way. So now we try to find our rhythm. Sleep, eat, repeat. Our neighbors are certainly suspicious that something has happened. Tomorrow is Autumn’s first trip to the pediatrician. That should be enough excitement for one day. There are a handful of new photos up on Flickr as well – we have a set created just for Autumn. If you want to get regular updates and you’re hip to RSS, use this link. You can also get an RSS feed to Autumn’s Flickr set with this link. If RSS means nothing to you, sign up for an email updates right here. 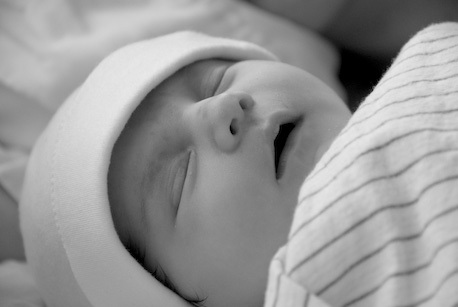 Born: September 25, 2008 at 7:37 p.m.
We are happy to introduce our beautiful girl who arrived last night. 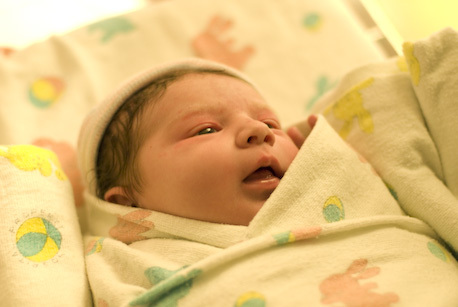 Autumn Sophia Pritchard was born 7:37 p.m. Thursday night at Kaiser Hospital in San Francisco. She is beautiful and well-tempered. After two full days of labor, she was born naturally, and Dad was there to catch her. Everyone is healthy, happy and completely exhausted. I should note that she was born during Oregon State’s incredible upset win over USC. An auspicious beginning. Many more updates to come. Thank you all for your thoughts and prayers.